February 23, 2016 April 7, 2018 - by Barbu d'Uccle - 24 Comments. Since we started this page, we at the typesofchicken.com team have given you articles on many different subjects concerning your chicken, and most of them were on what you should do to or with them. We started getting questions from you on some particular subjects like is some food bad or good for your chickens and alike. After some research and a few discussions with some more experienced poultry keepers, we decided to give you an article on what you should NOT feed your chicken. Well, this is obvious and that is why I wanted to get it out of the way as the first no-no for your chickens. I guess everyone who has had a dog in their life know that chocolate and candy are not good for your dog but did you know why is that? Chocolate and candy contain Theobromine which is an alkaloid of the cacao plant, and it is not only toxic to dogs but for your chickens and the rest of your poultry. Green potato skins are something that you should avoid feeding to your chicken because they contain Solanine which is another toxic material for most of the animal kingdom even for humans. Although in some small amounts they will not make a big difference, if given regularly green potato skins can be very bad for the health or even deadly to your chickens. In one of our previous articles we have mentioned that you should give your leftover food to your chickens, but this does not count for the moldy and rotten food, because it can be very dangerous for your chickens. Although many experts will say that avocados are very good for the health of your chickens, after some research I found out that the fruit is the very good thing for your chickens’ health. 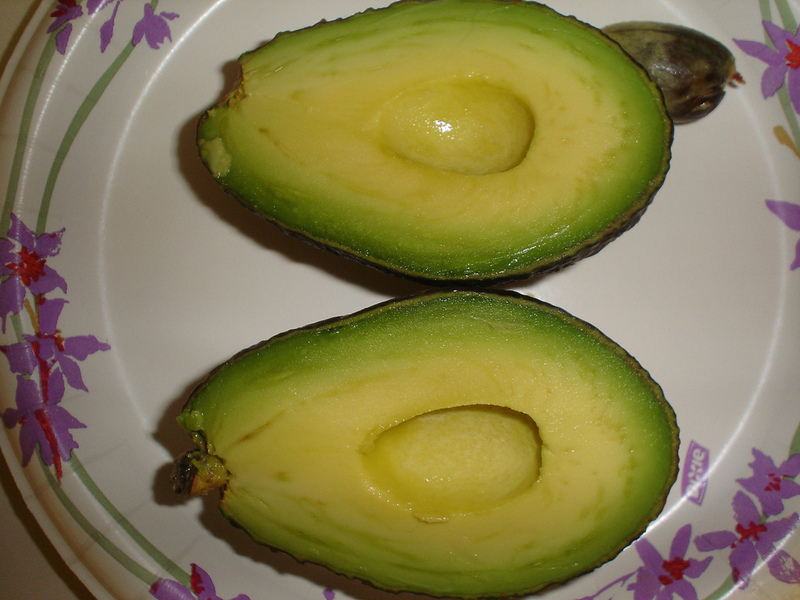 But the pit and peels of avocados contain a compound named Persin which can be very toxic to some animals – especially birds. Some people also avoid giving their chickens citrus and say that their chickens hate it so you might want to check their reaction to the fruit before consider regularly feeding it to them. 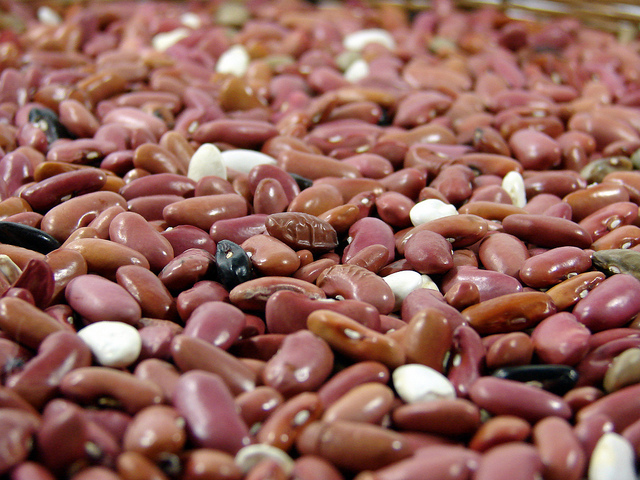 Dry beans contain hemagglutinin which is toxic to birds. If you want to give beans to your chickens make sure that you cook them properly because that destroys the hemaglutinin them. The small body of chicken cannot sustain large amounts of salt. Giving your chicken food that is salty can lead to many health issues with them such as salt poisoning, salt toxicity, dehydration and more. This is a big no-no because if you introduce eggs or chicken meat to your flock, chances are that they will turn cannibalistic – which you don’t want. If your chickens are eating their eggs it is most likely that they are overstressed or there is something missing in their diet. 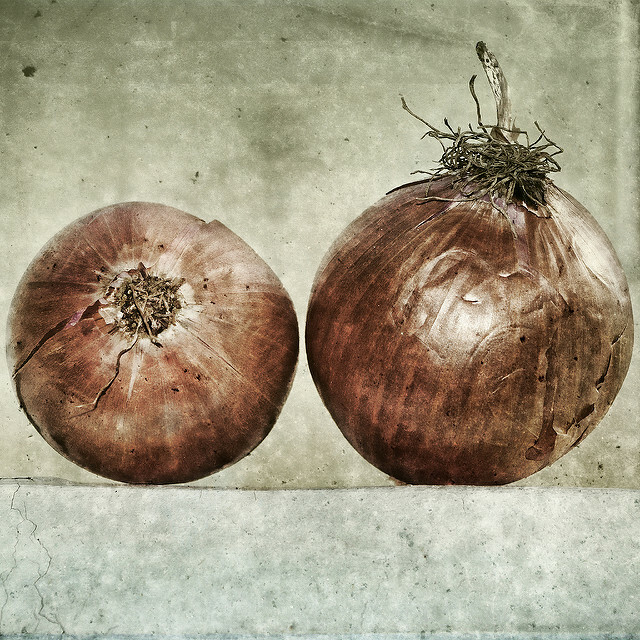 Onions are not a big no-no for your chickens because they have some health benefits, but you should know that onions contain Thiosulphate which destroys their blood cells. So we recommend that you try giving onions to your chicken as less as possible. Although apples are very good for your chicken, their seeds – not so much. 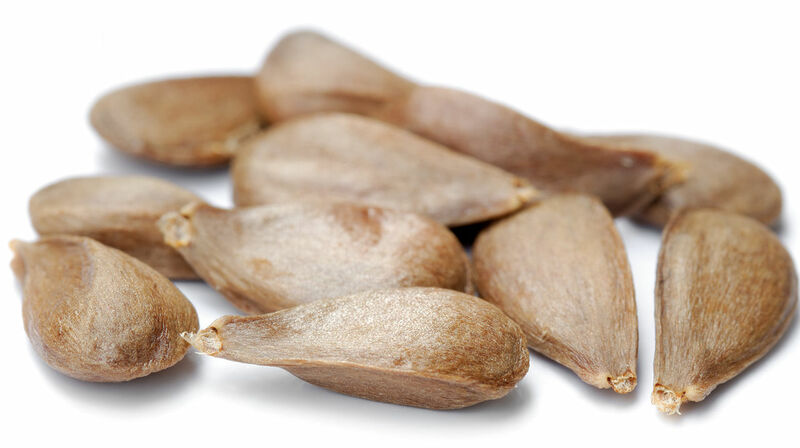 Apple seeds contain small amounts of cyanide and can be deadly to your chickens. Do your chickens a solid and remove the seeds from the apples before serving. Dry rice is not good for your chickens because it can get bigger when introduced to the moisture of your chicken stomach and that can cause big problems for them. So if you plan on feeding your chicken rice make sure you cook it before serving it to them. 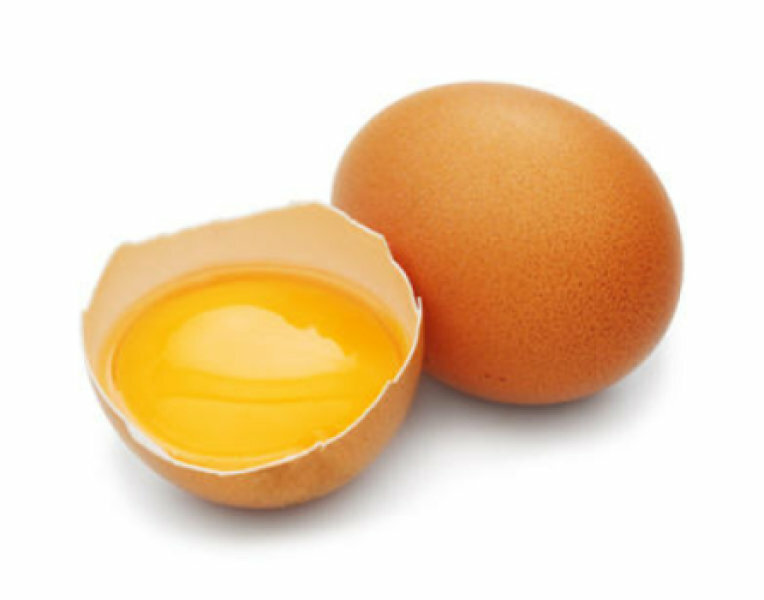 Previous Article How to Recognize a Good Egg Yolk & How to Get a Bright Orange Egg Yolk? Next Article How to Make Your Garden Chicken Proof & 5 DIY TRICKS! I have fed my chickens cooked chicken lefovers/bones from the stock pot on occasion for 10 years, I really don’t think they look at their coop mate and think “Oh I’ll bet she tastes like chicken!” Raw eggs (if an egg breaks in the nest) can be thrown on the ground and they will eat it up. It is very important to get the raw egg right our of the nesting box so they don’t think of eggs as food, but once it leaves there, it’s fair game. 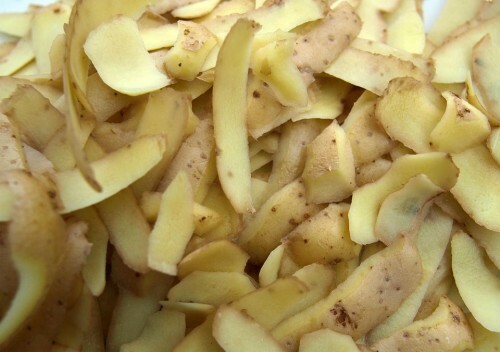 As far as potatoes, raw peels and a no-no, and cooked potatoes only in small amounts. Also, iron fortified cereals should only be given in small amounts. (stale cereal) Too much iron isn’t good. In genral, cooked potato is allowed in low amounts. We should avoid giving them green potato skins because they contain Solanine which is toxic material. I hope this article helped you a lot. Yeah, cooked chicken meat neither tastes like, nor has the same consistency, as raw chicken. Now, eggs are a different story. They WILL eat their eggs if they find out, through an accidental cracked or something, that what you fed them (raw eggs) comes out of their own eggs. But scrambled eggs? Absolutely, feed them! I feed my chickens raw eggs, cooked eggs, cooked egg shells, raw chicken, cooked chicken, raw/cooked beef and organs. I don’t feed raw eggs unless I’ve put them in a container and scrambled them and without the shell. I have heard that the natural cyanide is handled differently than synthetic and there for not or not as toxic. Wished there was references as I have been wanting to dig deeper into that thought. I’ve fed lots of cooked chicken and cooked eggs (I cut up hard boiled eggs and crush the shells fm so they don’t look like eggs). I can’t imagine that a chicks would eat a scrap of cooked chicken and realize what it is and decide to eat their coop-mates. Please research a little… Dry rice does not swell in the crop of a bird and cause them issues, Rice takes prolonged boiling at high temps to make it swell. Google it. Eggs and Chicken meat as mentioned will not cause your birds to suddenly turn into cannibals, You are giving them a little to much credit here. Both eggs and meat are excellent sources of protein, especially when molting. Obviously you would not just toss them eggs in the shell, but ground up shell is a much needed source of calcium and scrambled eggs are often given to chicks or ill birds for a much needed boost. These types of lists although well meaning, do nothing but scare people when incorrect statements are shared. Chickens can eat eggs and chicken meat. It is not bad for them and is actually the best protein for them. If you are trying to strengthen or put weight on a chicken, give it scrambled eggs. They love it and it is excellent protein for them. Good nutrients. You can scramble the eggs and mash up the eggshells and feed back cooked or raw to them. They can eat cooked chicken meat and turkey meat and will pick the meat off the bones if you feed it to them. Give them your leftover turkey carcass after thanksgiving and they will be to happy and pick off every tiny bit of meat on it. This does NOT cause cannibalism. Make sure you mash up any broken eggs though prior to giving them to your chickens to eat, or cook the eggs first, so they don’t recognize it as an “egg” otherwise you could end up with egg eaters because chickens love the taste of eggs and will eat the whole thing shell and all. After all, raw egg was their first food! The article advises against RAW chicken meat or eggs. Cooked is good. Ground up shells are essential. Cooked egg yolk and scrambled egg are perfect for stressed or ill chicks. But can you feed peppers to Chickens? Yes. Cyanne is actually said to stimulate egg production. Can chickens eat rhubarb leaves?? The answer to your question is Yes, but only in small amounts. Can you feed egg shells to your chickens? Can you feed banana peels to your chickens? You absolutely can feed crushed egg shells to your chickens ant it’s a great way to recycle that calcium and phosphorus that they lose every day that they produce an egg. I’m not sure if they eat the peels off of bananas but when I feed my chickens overripe bananas I just break them in half so the sticky fruit doesn’t get coated with wood shavings. I certainly haven’t noticed any accumulation of old peels so whether they get eaten, torn apart, or just break down…whatever happens to them it must not cause any problems. Thank you for your comment Moreno family Farms. Hope this article helped you.